This is Nina Fourie Gouws. 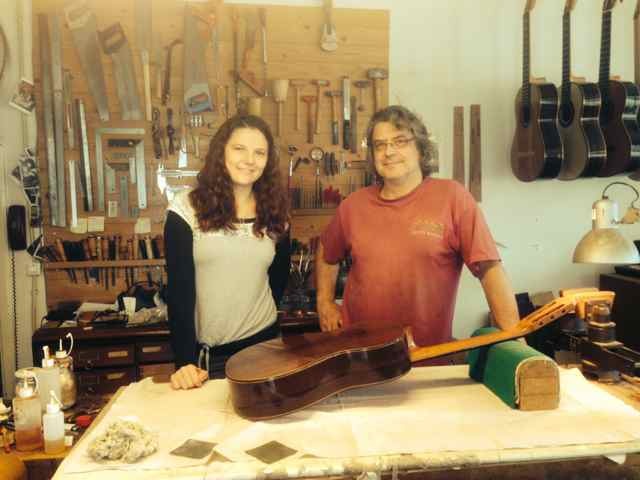 On her way to the Volterra Project of Antigoni Goni she stopped by in Amsterdam because she asked me to give her spruce top guitar a French polish touch up. She also has a cedar top on which she recently recorded a Bach Prelude.